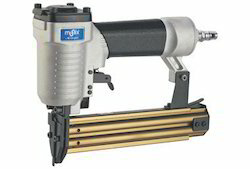 We are engaged in offering Pneumatic Nailing Machine & Nails. • Decking, Siding, Cable Reels, Pallets, Furniture, Fencing, Boxes & Crates & Crating and Sheathing etc. 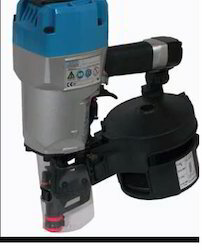 With an aim to fulfill varied requirements of our valued clients, we are engaged in offering Pneumatic Coil Nailer. 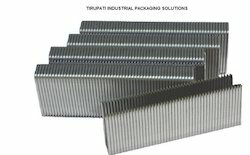 Provided machine is designed for the nail coil on various kinds of sheets and other substrates with utmost ease. 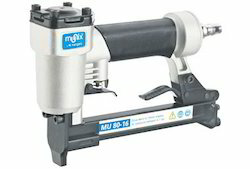 This machine is manufactured by our deft professionals using pristine quality components and innovative techniques as per set industrial standards. Further, we offer this coil nail machine at most competitive price to the clients. Simple, rugged design to withstand the harshest conditions. 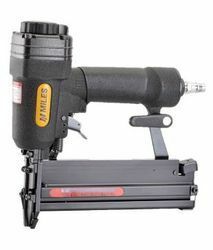 We are one of the noteworthy enterprises engaged in offering superior quality Pneumatic Stapler Pin. This pin is designed and manufactured under the stern guidance of our adroit professionals using premium quality components and sophisticated techniques. Finds wide applications during the post-production of various kinds of foils, this pin is made available for clients in several technical specifications to meet their precise needs. Further, clients can avail this pin at reasonable prices. We are counted amongst the recognized organization offering of premium quality Kangaro Brader. 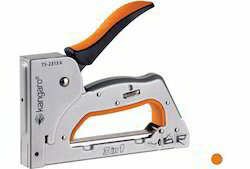 Designed in adherence with international quality standards, this stamping machine is manufactured by utilizing superior-quality components and state-of-art techniques. Provided machine is suitable for the stamping over a wide range of substrates with various kinds of designs, logos and texts. The offered machine can be purchased from us in several technical specifications at industry leading prices. 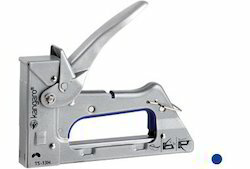 Our firm has gained continuous appreciation as the prime organization offering of MILES TP10 / TP-10 Gun tacker. Provided machine is designed for the precise stamping over a wide array of media such as leather, paper and plastic. The offered machine is manufactured by our ingenious professionals using quality-assured components and modern methodology in conformance with international quality standards. In addition to this, clients can avail this machine at negotiable prices from us. Kangaro is a well known company for everyone. 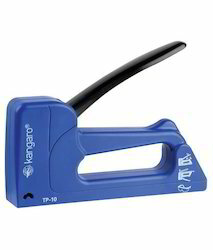 This Kangaro make pneumatic bradder suitable for brad nails F10, F12, F15, F20, F25, F30, F32, F38, F40 & F45. Handicraft item manufacturer and furniture item manufacturer can use this tool to increase there productivity. Heavy duty all steel robust contruction. 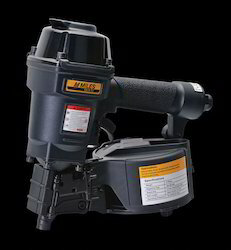 Looking for Nailer & Stapler ?